Due to an increase in activity regarding the re-sale market, Blue Eden has committed large re-sources to our exciting , brand new and upto date website that will enhance the probability of selling your property on our website, within our agency and through our network of sub-agents. There is an ever-increasing interest in property that is located well and not off –plan. Demand is also expected to greatly increase when Bulgaria enters the euro currency around 2010 as happened in Spain and Ireland where property prices increased dramatically. 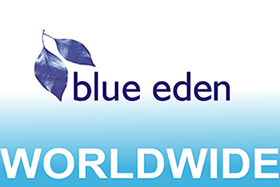 Should you wish Blue Eden to advertise your property, please contact us via e mail or telephone for details. Prime locations are available once again. View the completed property and developed surroundings. Bulgaria is due to change their currency soon to the euro, when it does the expectations are that demand will exceed availability which in turn will mirror what happened in Spain, Ireland and the rest of europe.